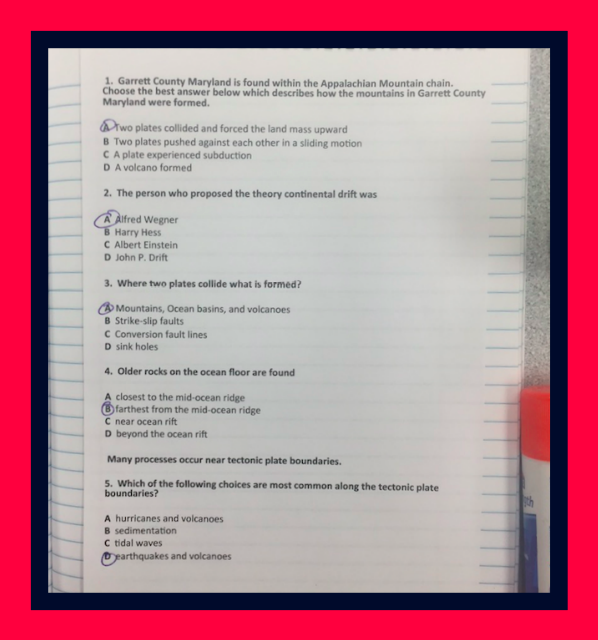 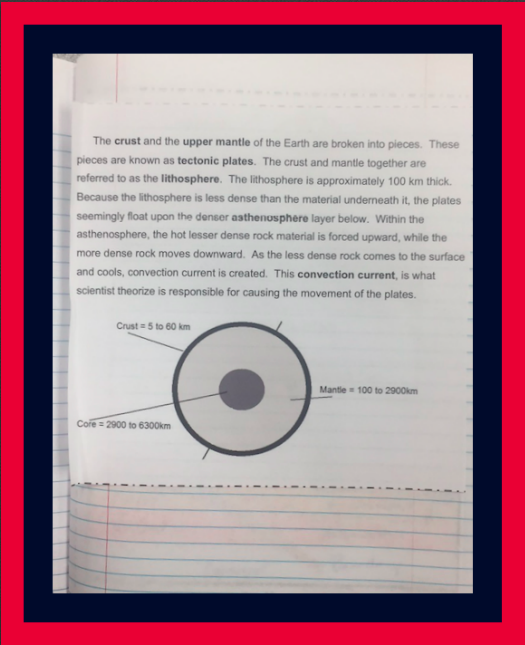 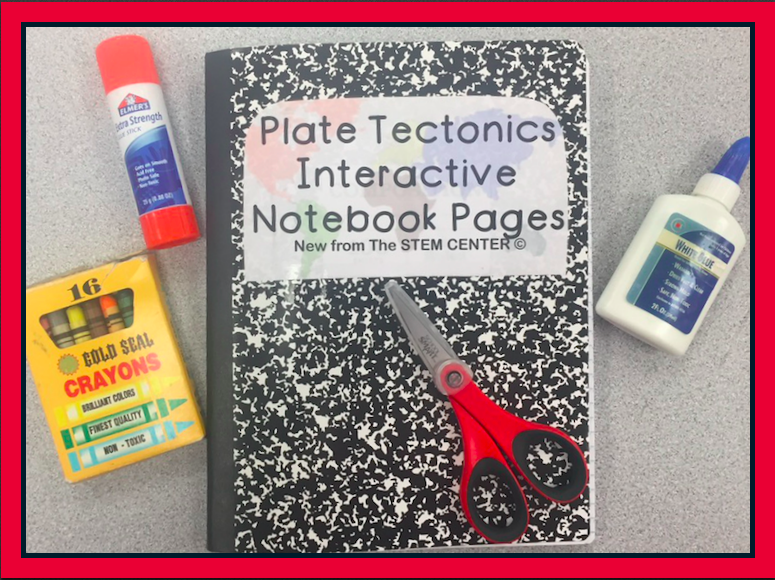 Let your students make their science notebook fun and exciting using these Plate Tectonics interactive notebook pages. 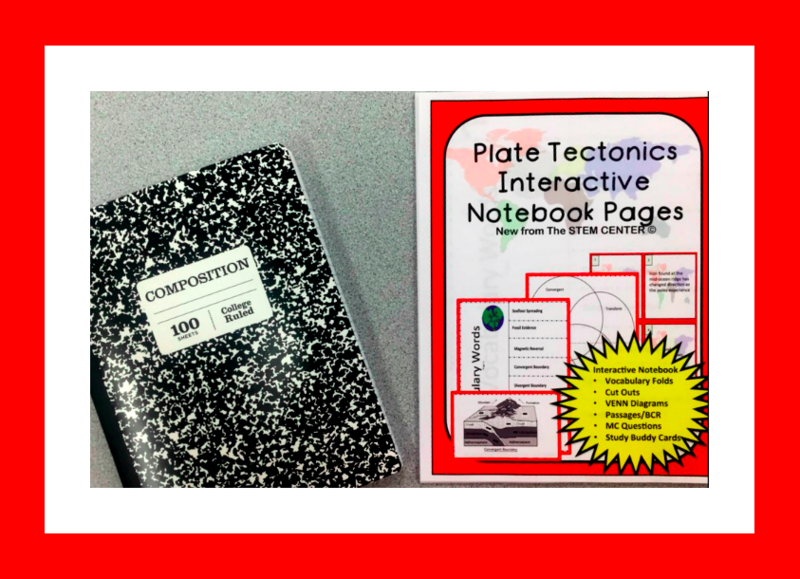 Very few resources are needed to construct the Plate Tectonics INB. 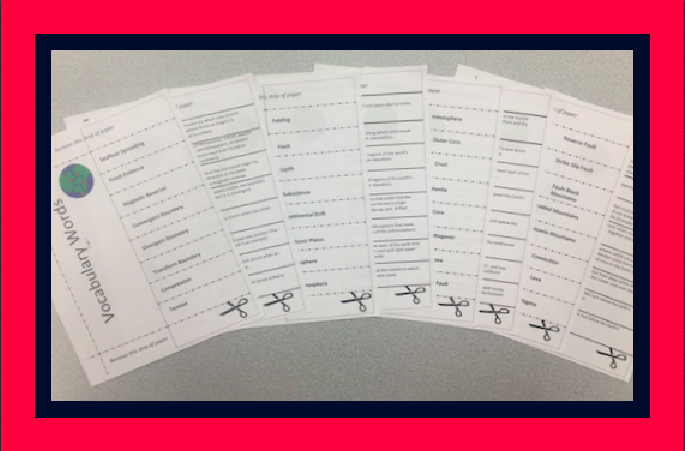 The INB has 32 pages of resources that includes vocabulary flip folds. 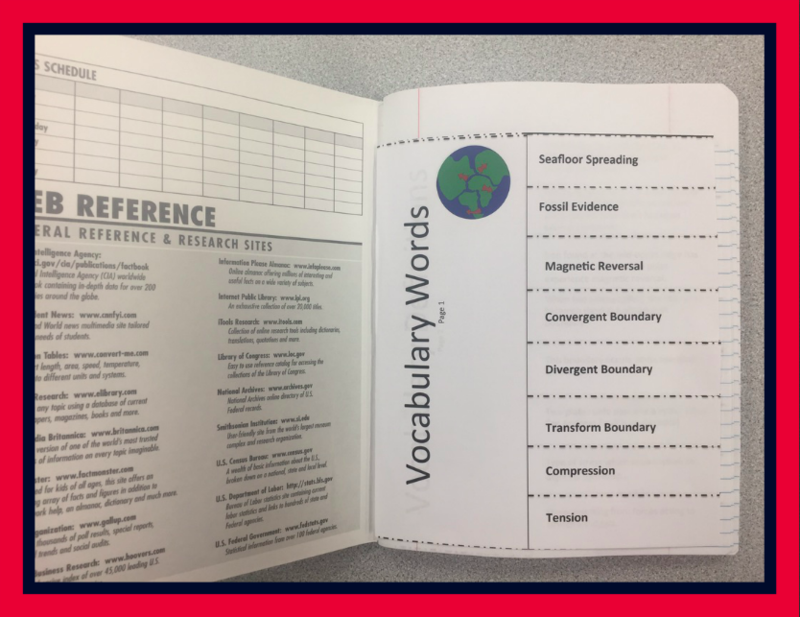 The flip folds are pasted on top of the matching definitions. 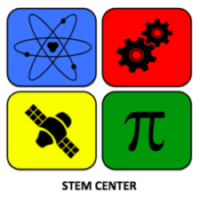 The INB has several reading passages. 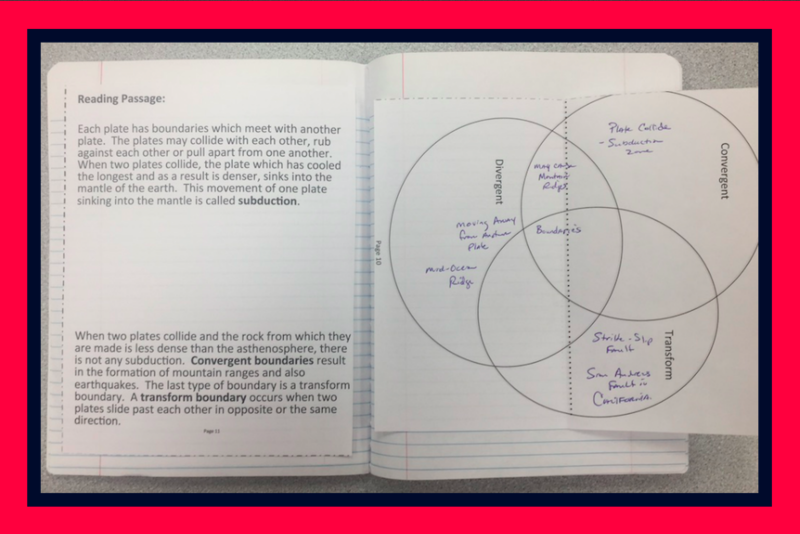 In addition to the reading passages, there are Venn diagrams, multiple choice, and constructed responses included. 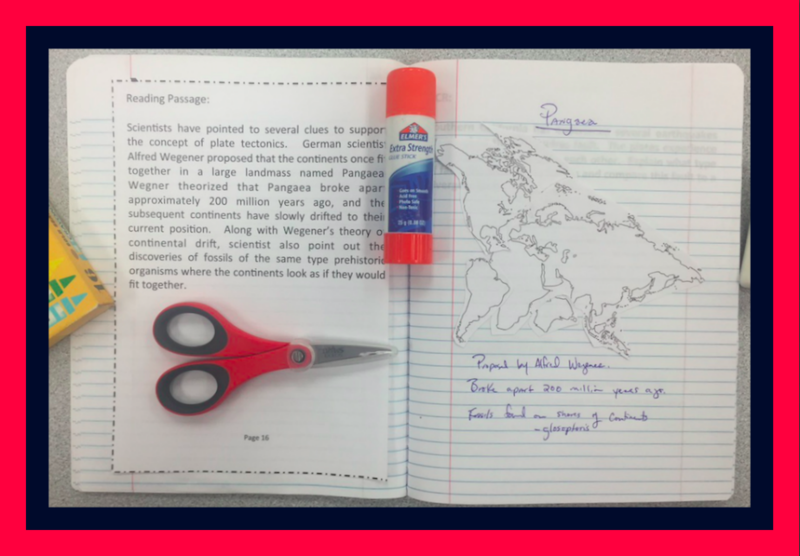 Students are able to examine the world map and cut out the continents in order to take a closer look at Alfred Wegener’s proposal that they fit together like a puzzle. 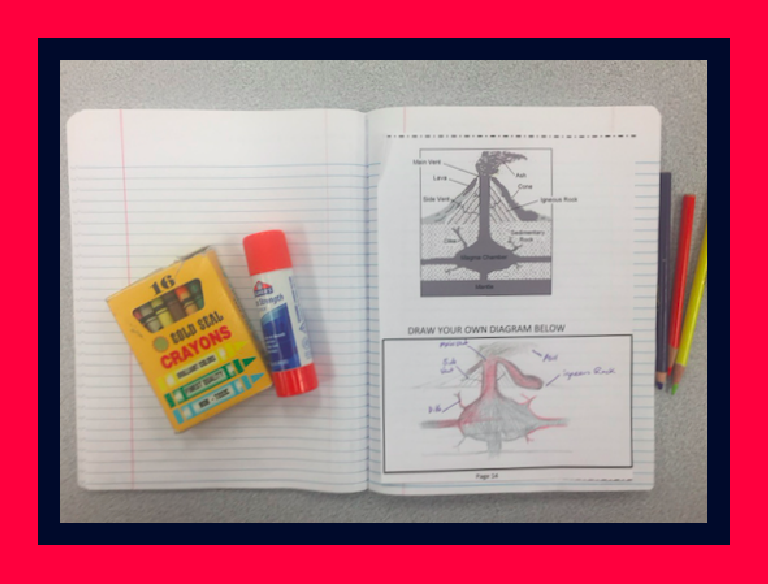 Students have the opportunity to sketch a volcano and label its parts. 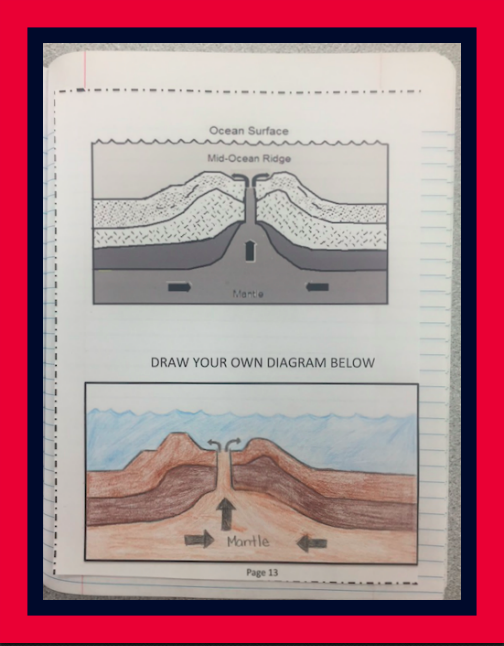 Students also sketch a mid-ocean ridge. 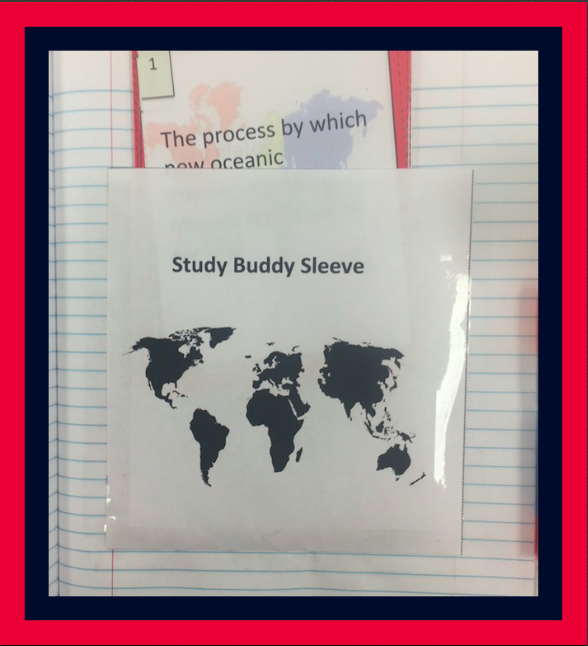 The Study Buddy Sleeve holds the 35 Study Buddy cards that students may use to memorize crucial vocabulary and concepts. 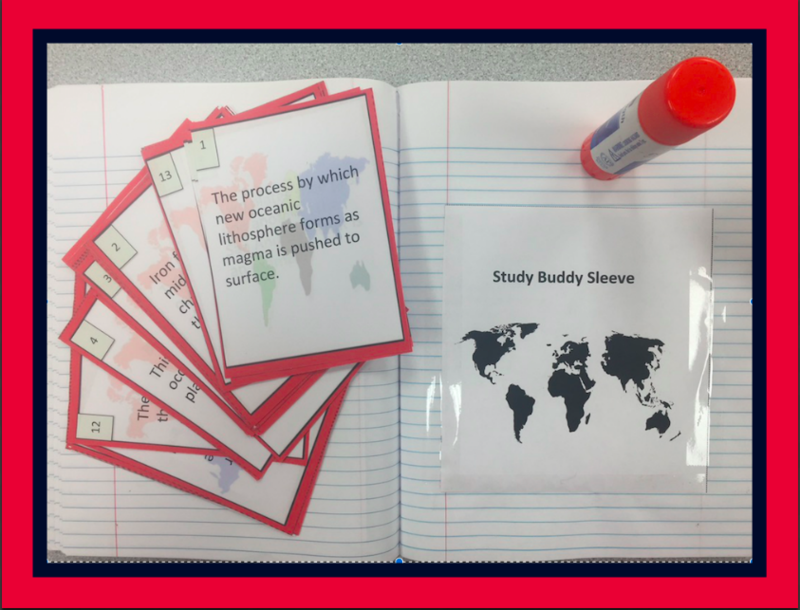 – 35 Study Buddy Cards* convergent* divergent* transform boundaries* compression* tension* folding* faults* uplift* Continental Drift* lithosphere * asthenosphere* mesosphere* crust, mantle and much more!